Finish sweeping chips from chip sealing if needed and zone sweeping. Crews are also busy sweeping leaves as well as sand throughout the county after winter maintenance. 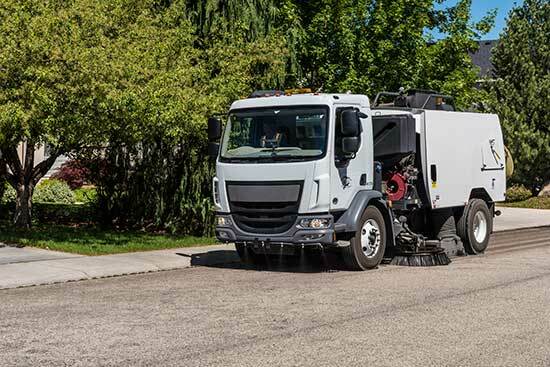 Street sweeping by zone. The county has been divided in nine zones for street sweeping purposes. Sweeping up excess chips behind the chip sealing crews. Throughout the year, crews also respond to emergencies and calls across Ada County.